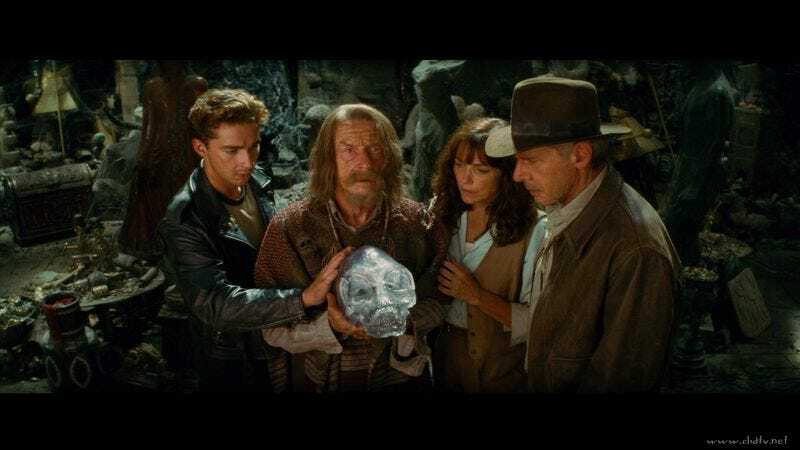 Like a globe-crossing adventure that ends with the revelation that the treasure you’ve been hunting was just “knowledge” all along, fans are still hypothetically seeking another Indiana Jones movie, despite being all but assured the same anticlimax that was Kingdom Of The Crystal Skull, which [SPOILER ALERT] wasn’t very good. And also, had something to do with aliens or something—a plot twist that has since become a shorthand joke for Steven Spielberg’s approach to storytelling, but which the director has now more or less blamed on his longtime collaborator George Lucas. Fortunately for him, Lucas has long since found a way to break down angry criticism from jilted fans into life-sustaining protein, so he should find this latest batch savory and delicious.